It’s well-known that SIIMA and CCL co-founder Vishnu Vardhan Induri will be co-producing a biopic on legendary cricketer Kapil Dev in Hindi. Titled 83, the film was launched in September. 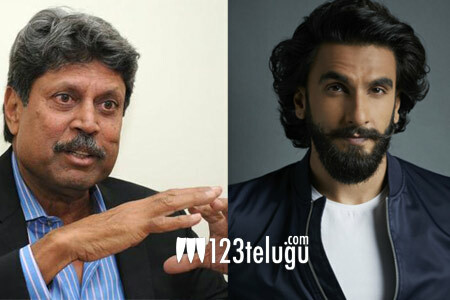 Happening young Bollywood hero Ranveer Singh reprises Kapil Dev in the movie. As per the latest updates, 83 will hit the screens on April 5, 2019. 83, will go on floors early next year. Kabir Khan, director of Salman Khan’s Ek Tha Tiger and Bajrangi Bhaijaan, will helm this project, while Bollywood production house Phantom Films will co-produce the movie. 83 will also release in Telugu.